New York Rangers had a strong offseason from a prospect perspective selecting twice in the first round of the NHL draft, acquiring defensive depth via trade and also signing several free agents. Overall the Rangers have excellent depth in net and on defence however up front is where the prospect pool thins out with the exception of this years top end draft talent. In the past year New York has seen several prospects make the jump to regular NHL duty. Pascal Buchnevich was a steady force up front for the Rangers when he was healthy. Brady Skjei was a pleasant surprise on defence and played his way into a top four role with the club. Heralded free agent signing Jimmy Vesey started the season strong however slumped as the season progressed and prospect Matt Puempel seemed to find his stride after coming over from the Senators. 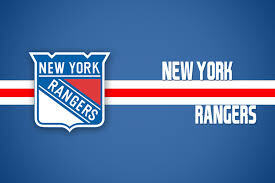 Looking at the upcoming training camp the Rangers are expecting a battle amongst several up and coming defencemen to see who earns a spot in the bottom pair. On defense, Alexei Bereglazov and Anthony DeAngelo are the closest to being NHL ready and sit atop the depth charts. 1. Lias Andersson, C/LW – HV71 (SHL). Andersson is a complete, two hockey player with high end skill when the puck is on his stick. Future impact player. 2. Igor Shestyorkin, G – SKA St Petersburg (KHL). Shestyorkin backstopped SKA to a Gagarin Cup championships while posting a 1.64 GAA and 0.937% save % through 39 games. 3. Anthony DeAngelo, D – Hartford (AHL). Acquired via trade in the offseason DeAngelo will be vying for a full time role in New York this fall. 4. Alexei Bereglazov, D – Hartford Wolfpack (AHL). Skating in 150+ games in the KHL over the past three seasons, Alexei is known for a solid stay at home defensive game. 5. Sean Day, D – Windsor Spitfires (OHL). Day will be looking to build on a successful 2017-18 and potentially suit up for USA in the WJC20. 6. Filip Chytil, C/LW – North Bay (OHL) own Chytil’s junior rights in the CHL and have already been making a push to sign the young player. It would be great to see his offensive talent emerge, more so than the 8 points he recorded playing against men in the Czech league last season. 7. Ryan Graves, D – Hartford (AHL). Graves was a bright spot on defence in Hartford last season and earned an AHL all star nomination. Expect the former 5th round pick to continue to step up his game coming into his 3rd pro season. 8. Cristoval Nieves, C/LW – Hartford (AHL). The 23 year old Nieves skated 40 games in Hartford in 2016-17 and produced 6 goals and 12 assists. Any future role with the Rangers would be focused on the bottom six. 9. Adam Tambellini, C/LW – Hartford (AHL). Tambellini completed his 2nd pro season with a slight improvement in his offensive production however his +/- dipped by -35. Greater consistency and leadership will be expected this season. 10. Alexander Georgiev, G – Hartford (AHL), Georgiyev will be playing his 1st North American season in 2017-18 after dominating Finland’s Liiga with a 1.70 GAA and 0.923 save % through 27 games last season. Igor Shestyorkin – Shestyorkin doesn’t fit the mould of the modern goalie at 6’1” however he relies on his extraordinary reflexes and skill set similar to New York’s Mr Lundquist. Contractually Shestyorkin is locked up by SKA through 2018-19 so unless the Rangers exercise a buyout don’t expect to see him in North America in the near future. Anthony DeAngelo – Acquired by the Rangers in an offseason trade with the Phoenix Coyotes. The smooth skating DeAngelo contributed 5 goals and 9 assists in 39 games in Phoenix as a 21 year old. While he has all the physical tools required to succeed he is already on his 3rd NHL organization. Sean Day – Skating for the Windsor Spitfires, Day was a key player on the back end in their Memorial Cup championship. Always an offensive option, Day impressive with a solid two way game and has once again been invited to the US WJC camp. He is also eligible to play in the AHL for Hartford this coming 2017-18 season. Alexei Bereglazov – The 23-year-old defenseman signed with the Rangers in the offseason and will be battling for a spot in the bottom pair in New York. Don’t underestimate his KHL experience and how that will translate to North America. Nicklas Jensen – Jensen was presented with a qualifying offer this offseason however elected to leave North America to play for Jokerit in the KHL. The Rangers retain his rights and don’t rule out a return to North American ice assuming he has a strong campaign in 2017-18. Robin Kovacs – Originally drafted in the 3rd round, 62nd overall in 2015, Kovacs skated his first North American season to a disappointing 12 points in Hartford in 2017-18. Unless there is a strong bounce back season this year his future as a NHL player and fantasy option will all but dry up. Brandon Halverson – His first pro season in the AHL was less than stellar. Halverson posted a 3.45 GAA and 0.887 save % in 26 games played for a last place Wolfpack team. With the addition of Georgiev as a free agent and Shestyorkin dominating the KHL, Halverson will need to have a tremendous season in Hartford to climb the organizational depth charts. Ryan Gropp – After being returned to Seattle (WHL) for his overage season the former 2nd round pick posted a 14 point improvement over the prior season. He will need to impress Wolfpack brass in training camp or Gropp may be ECHL bound.